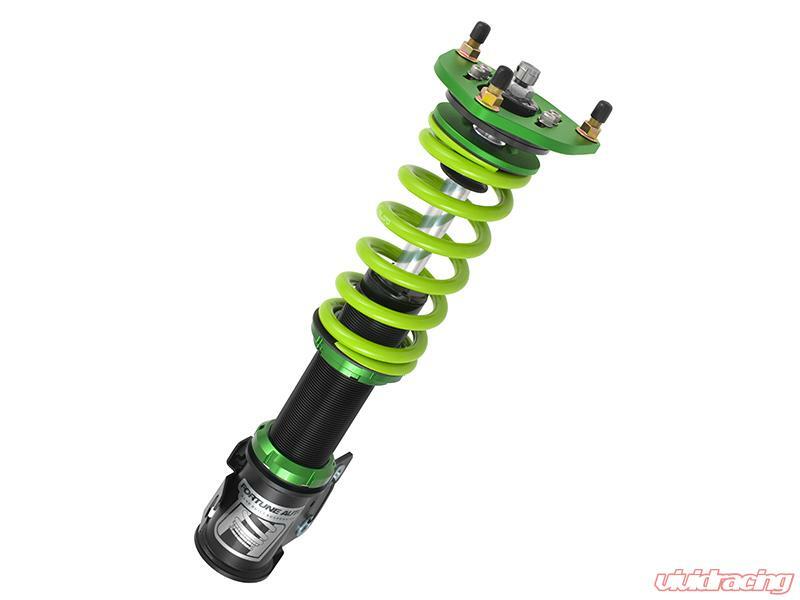 Fortune Auto 500 Series Coilovers for your Toyota Corona Premio 98-00 are now available at Vivid Racing. The new Fortune Auto Generation 6 Internal Floating Piston is considerably lighter and uses a low-drag teflon band that drastically reduces stiction. This allows the damper to react quicker to shock forces. The Fortune Auto 500 series damper shaft seals have 40% less drag than our previous models. This provides for less hysteresis and for superior control of driver inputs. Our new seals are made of a specially formulated Buna rubber compound that provides a great balance between reliability and performance! 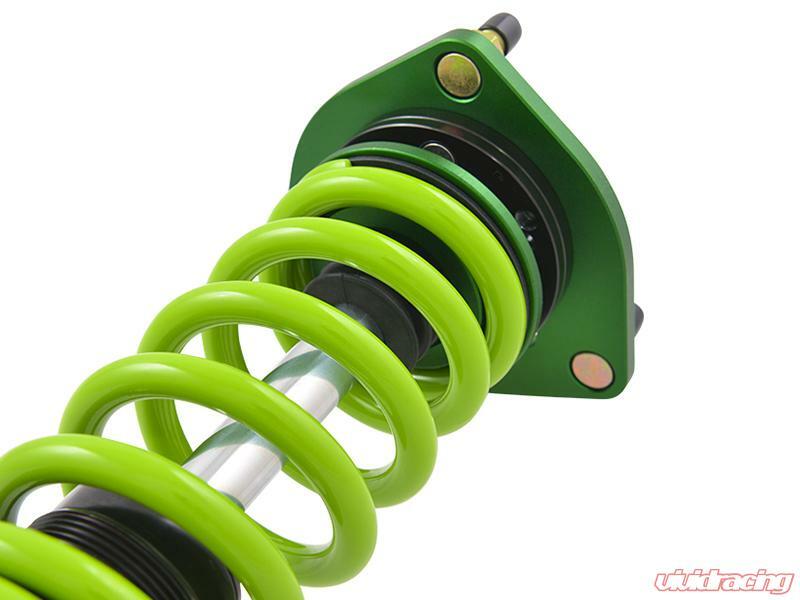 Since the shaft seal is the most important seal on the shock, a stronger seal will greatly improve quality and performance. Shims are deflection disks that cover up the port holes on a piston. They regulate the fluid flow which generates the force found in a damper. "Valving" or "re-valving" of a shock is accomplished by using a variety of shims that will ultimately provide enough resistance and damping ability for a particular application. Minute differences in the shims' diameter and thickness are very critical; just a thousandths of an inch of variation in the dimensions can change a damper's force profile up to + or - 25%. 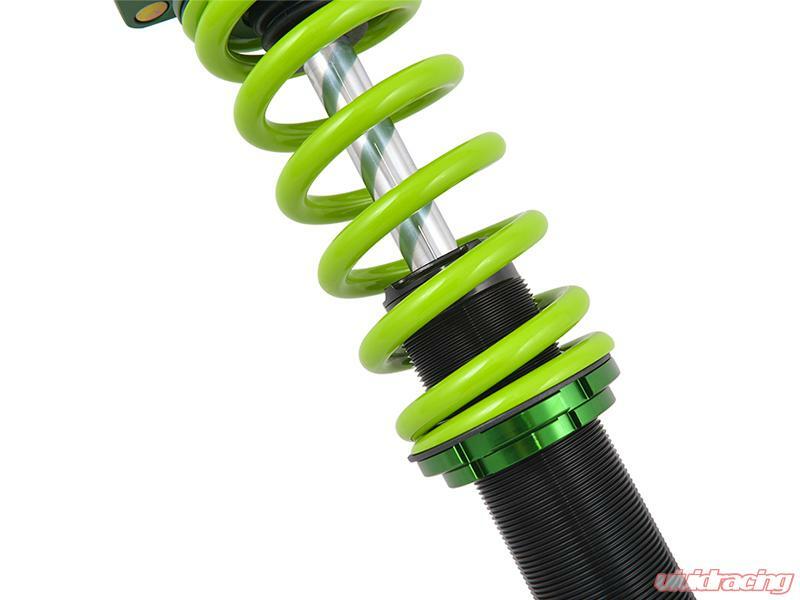 The shims' consistency is crucial in matching shock absorbers to one another. Generation 6 dampers utilize a high-grade shim material made of Sandvik steel, ensuring precision matched dampers. Bright dip anodizing is a chemical polishing / anodizing process that is very effective in enhancing the integrity of the aluminum. Bright dipping created a brilliant, shiny surface which protects the 6061 forged aluminum parts from corrosion and oxidation ensuring that your parts look great for years to come. 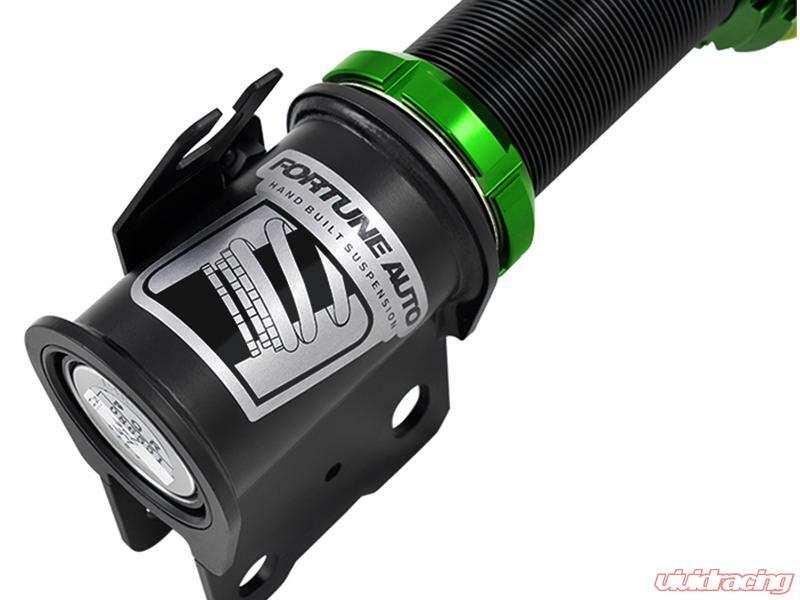 Fortune Auto Revised Jetting and increased adjustment range provides a larger range for more accurate damper control. Each click in the adjustment range has a very profound effect on the dampening force. Each click provides a distinct audible sound. Digressive piston technology allows for tremendous amounts of low speed force that translates driver inputs into razor sharp control. Furthermore, the force "blows off" to provide the driver with a supple compliant ride while maintaining superior mechanical grip over rough surfaces.